Great Life Performance Pet Products has notified its distributors to request they withhold certain products from sale to consumers. According to the company, the action is being taken because some packages are “not reaching full expiration date” as suggested by the presence of an unexplained odor. 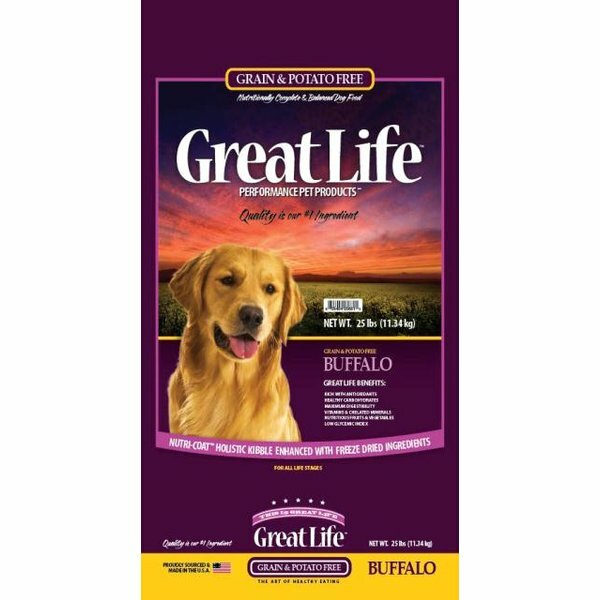 In its letter, Great Life assures distributors recent lab tests have found their Grain Free Buffalo products “free of Salmonella, E. coli, toxins, micro-toxins, etc.”. Although Great Life is investigating the cause of the problem, it’s important to note the company has not yet technically classified its action “a recall”. However, it’s always possible some of the affected product may have already made its way to end users. Since the company has not yet determined the actual cause of the odor, we feel compelled to make consumers aware of the situation and suggest they monitor the developing story closely.